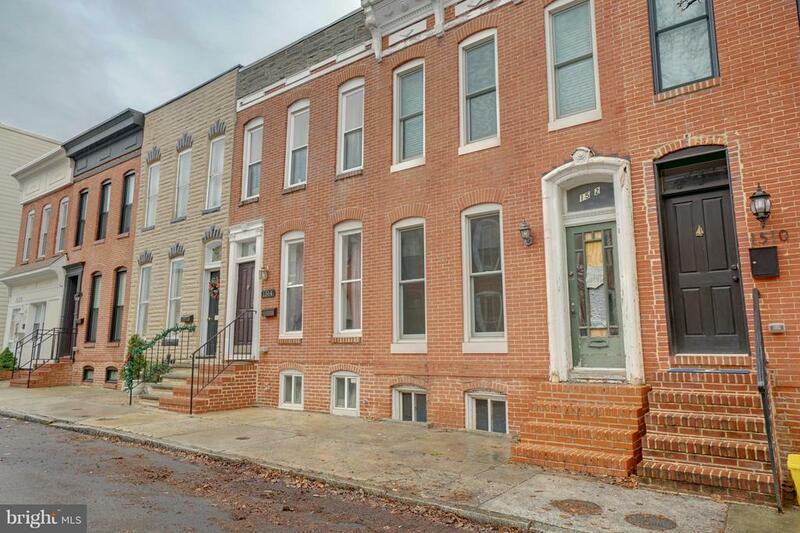 Comments: Investment / rehab opportunity for spacious home in Federal Hill. Structure is approximately 48.5' deep and has 2 sections of width of 10' (rear bump out) an 13.5' (front portion). Main and Upper levels have high ceilings. Possible rooftop deck potential. 2 bedrooms upstairs with 2 full bathrooms and nice landing at top of stairs. Large extension off rear with kitchen / dining area, half bath and laundry. Open main room in front. Vestibule entry with nice wooden interior door, possibly original. Old wooden banister is also probably original. CHAP tax credit could be applied for with rehab. Fully fenced concrete patio in rear but no potential for parking pad due to utility pole adjacent to lot. Unfinished basement is full footprint of home, including half-height under rear bump out. Basement could potentially be dug to full height. Gas lines have been replaced within last 5 years. Single lender on mortgage to facilitate short sale.